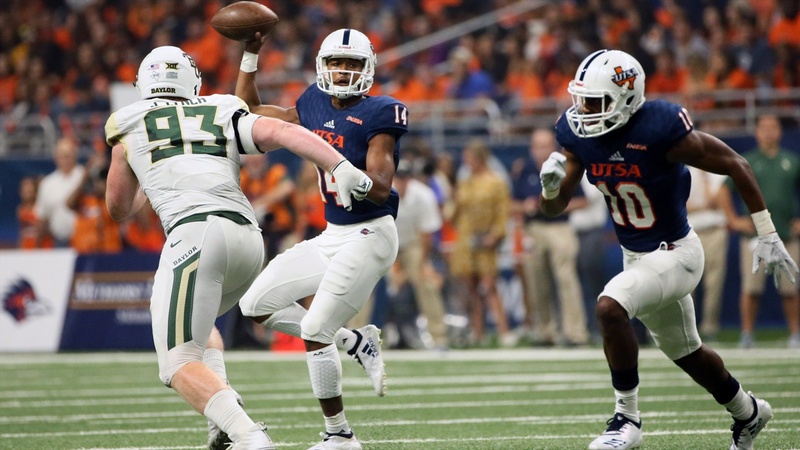 Baylor's defense against UTSA was a mixed bag but mostly good. A key turnover before the half essentially gifted UTSA 7 of their 20 points and a missed (TWO!) reviews handed them another touchdown on their only long touchdown drive. With that said there was plenty of good and bad so let's dive in. UTSA wasn't very efficient running the ball. They had four plays where Baylor made simple mistakes for 91 yards. Aside from this their tailbacks averaged a paltry 2.